Being fifty-something, I love finding new places in my own neighbourhood. 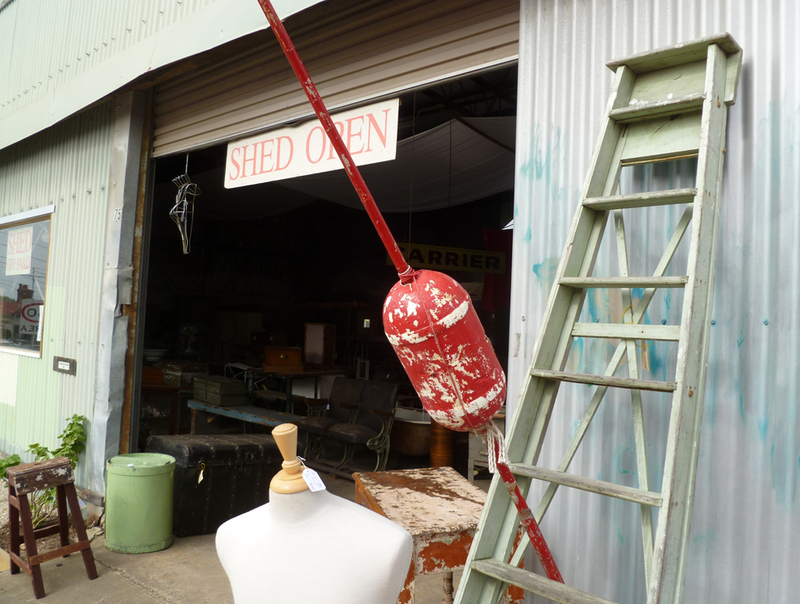 This morning we came across this treasure, a few streets away in Preston St, just off Pakington Street, Geelong West (thus its name “Shed Off Pako”). From the outset, this looked like my kind of place. And I wasn’t disappointed. I was so excited by what I saw, I needed to take some deep, settling breaths so I could focus. 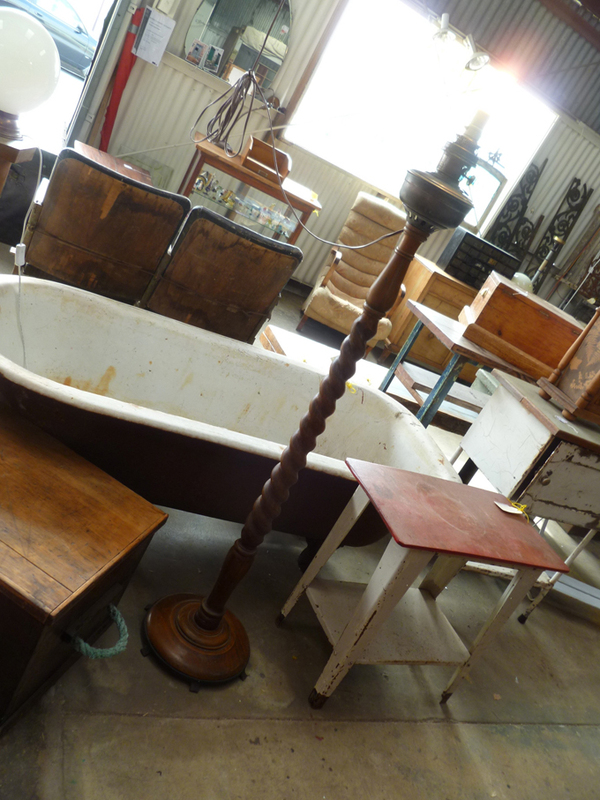 Shed Off Pako is full of fascinating second-hand items. Not your usual motley overpicked collection. Everything in this assortment is a gem. 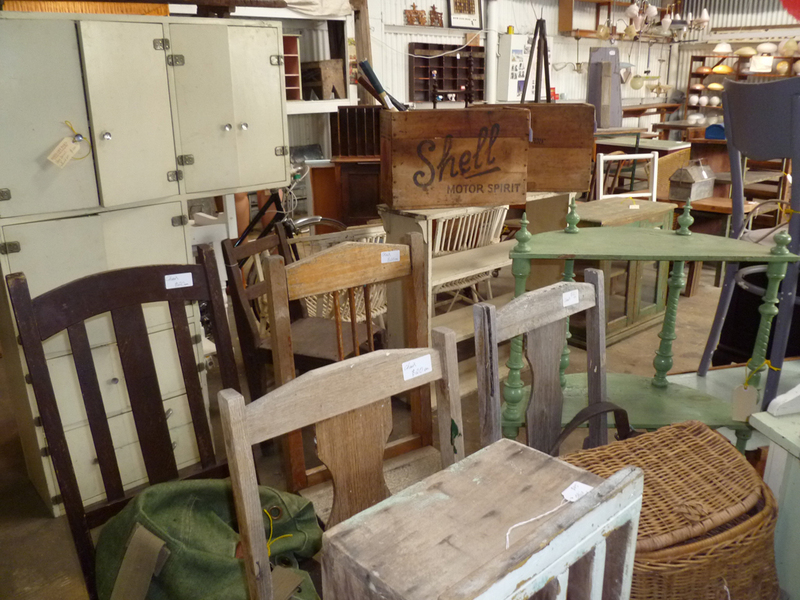 Not your high-end, overpolished antiques, more your rustic-come-warehouse-come-picker-sisters style. When I relaxed enough to have a really good look around me, I saw a familiar face … a dealer I know (from my other life). Adrian has set up Shed Off Pako with Deb, another dealer who I also know (from that other life). They have terrific dealer instincts and an eye for the unusual. Deb has an arty side which lends itself to quirky assemblages and seeing the beauty in things others might overlook. 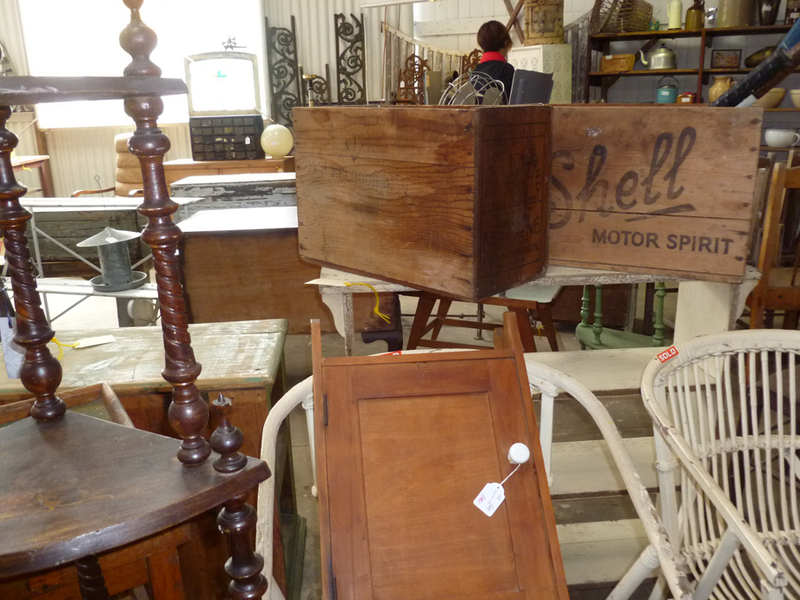 Lots of stuff here is perfect for re-purposing. 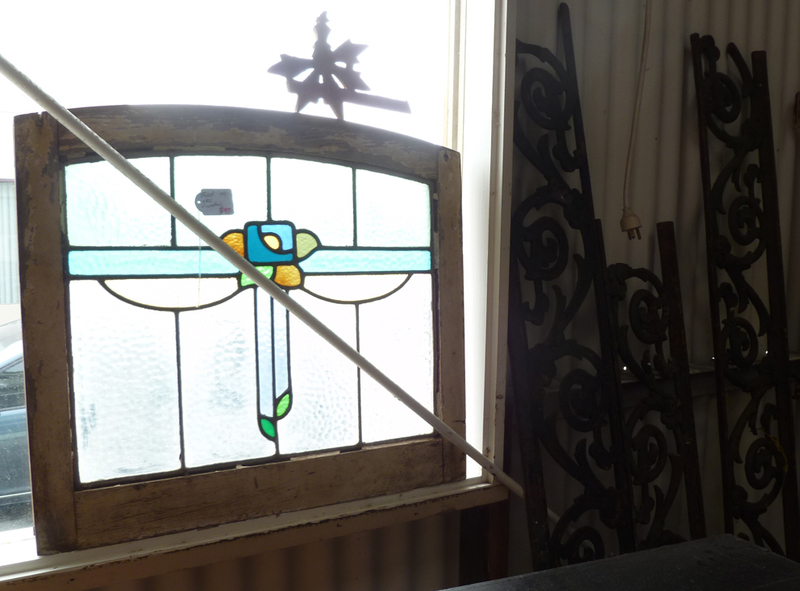 I loved this leadlight window, very reasonably priced at $95. 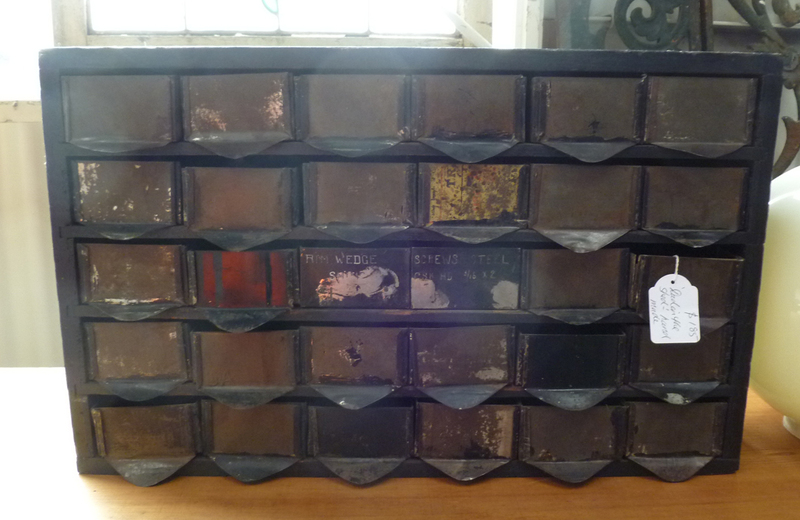 This metal cabinet of tiny drawers is also good value at $85. 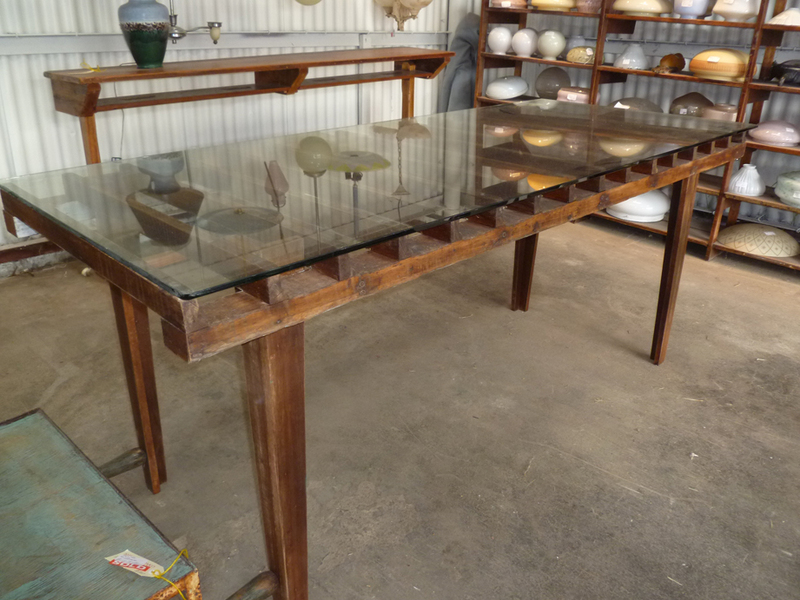 This glass-topped table took our eye. But what really grabbed us was this barley twist wooden standard lamp with an unusual oil burner top and an electric globe sitting atop that. We’ve been looking for an oak barley twist standard lamp base for quite some time, and at $140 this one’s well-priced. We left it behind this time. Not sure about what sort of shade to match it with and whether we can cope with the cord dangling from the top of the lamp, rather than coming from its base, which is the usual (and much neater) way it’s done. 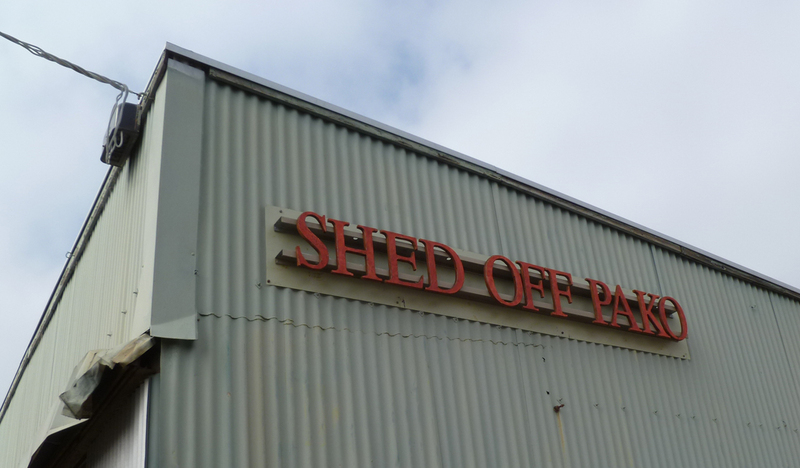 Shed Off Pako has only been open three weeks, which explains why we’ve only just found it! For now, it’s only open from 10-5pm on Saturdays. Another very compelling reason to get yourself down to Pakington Street on a weekend. Next Post Venus and Mars go house-hunting.